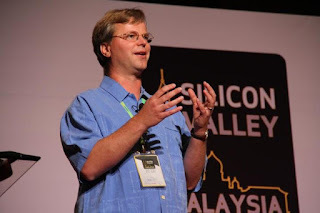 I have attended Silicon Valley Come to Malaysia Conference last year (2011). Linkedin's co-founder Konstantin Guericke was keynote speaker at the event. Konstantin Guericke created a Linkedin group Silicon Valley come to Malaysia, which is a sub-goup of Startup Malaysia, to continue communicate with Malaysian participant of the conference. Being an alumni of Stanford University and guess lecture of Stanford University. Konstantin Guericke recommended an online course offer by Stanford University, Technology Entrepreneurship E145 to startup entrepreneur in Malaysia. The course have approximately 30,000 online student worldwide to date. I enroll in the course to learn more about enterpreneurship. The course operates according to the flipped class, where team-based, experiential education (learning by doing) is central and video lectures and readings are there for support. 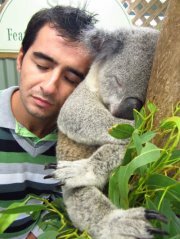 Iván Doel are my course mate at Technology Entrepreneurship of Stanford University. Ivan Doeal has assigned to my team and we have worked on two assignment together and we are in our third assignment now. I have made Ivan page owner and admin of our facebook fan page . Ivan might post some survey to study preference of our customer for our course assignment. Please participate in the survey to help us to understand our customer better. The online course also recommended us to participate in Start up compass . To evaluate our company, whether our company in premature scaling or determine how we reach Product/Market fit to scale. In order to reach Product/Market fit. The company must have a killer product. This mean we must have a product customer will feel upset if we no longer in business. That customer cannot live without it. Please help our company find our killer product. Alternatively, we also want to know whether we able to reach Product/Market fir if we become online hypermarket. Where we sell everything under the sun. Please tell us whether you will feel disappointed if an online hypermarket close down it business and you unable to buy product from us again.